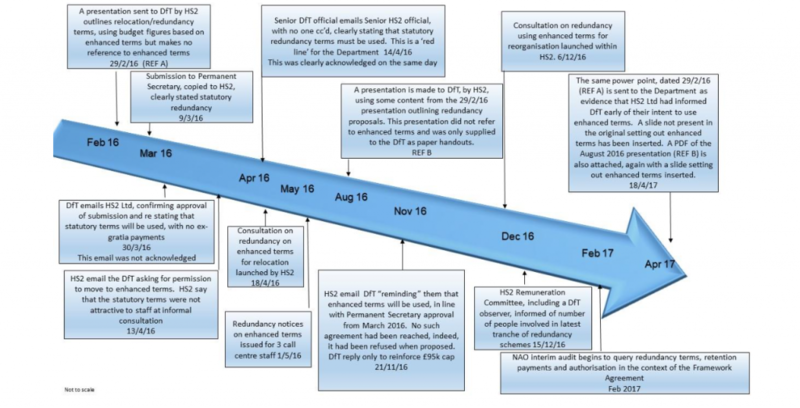 An internal government audit into HS2 Ltd redundancy schemes which involved payouts significantly higher than allowed by the Department for Transport (DfT), has shown a number of flaws within HS2 Ltd’s processes. These flaws show a company culture which Stop HS2 says is not “fit for purpose” with “HS2 Ltd running their own gravy train with their snouts in the trough of taxpayers’ money”. A Public Accounts Committee hearing into the redundancy payments will take place on Monday 30th October at 5pm. The audit conducted by the Government Internal Audit Agency has been made public on an “exceptional basis” due to the seriousness with which it is being taken. This follows a National Audit Office report in July this year, which identified redundancy payments of £2.76m in the previous financial year, of which £1.76m compromised of “unapproved enhancements” and which had been expressly forbidden by Transport Secretary Chris Grayling. “Neither organisation has demonstrated effective record keeping of key decisions in this process, often reliant on emails held in personal inboxes” and states that a lack of response to an email was often assumed to mean agreement. The Financial Times reports that the departure of HS2 Ltd’s Chief Financial Officer from the company follows pressure from the Department for Transport and describes Chris Grayling as “apoplectic”. For this monument to gluttony. With £95,000 in their bank! As we fill Gulliver’s gravy boat? And the chief financial officer is paid £415,000 a year!!! When are the PAC calling Mr Kirby to give evidence? As ever I am disgusted by the HS2 company’s reported actions. Please stop them, and the whole project very few people want. Ironic isn’t it that hs2 is supposed to create jobs in Brum, and yet the very staff that espouse it won’t relocate.